After hundred of commits, GDA is getting fixes for most of its bugs around SQLite, PostgreSQL and MySQL providers. Lot of modernization work has been landing in master, making GCC more and more happy avoiding warnings, some of them are present, yet. To have a warning free release, GDA needs to modify some internals, hope they are not too invasive in order to avoid bugs. Internals in GDA is a long history, started in January 2002, evolving and implementing stuff not available in GLib or GObject at that time. But the things have changed and now we have modern techniques to implement interfaces and objects, so a modernization was started since I took the maintainership. GDA has lot of tools, like entire applications and command line (a la psql), allowing you to access your data. The one I use the most is its GObject Introspection bindings through Python, to extract, manipulate and push to or from different databases providers; this was the main task on modernization: change the API to be more binding friendly, specially on GObject Introspection; I think it is in a better shape now. Unfortunately, most tools are buggy, like GTK widgets and so its derived GUI tools, in a level that is difficult to fix with the limited resources we have; this is true for some providers, because they are outdated. This is the reason we have put them in the “experimental zone“, to reduce the burden. The advantage is that putting things aside, will help to push 6.0 out to the streets in a more short time. For 6.0, we need to think about if we will keep current API and a very difficult way to implement new in-tree providers; or we take a big step forward and create interfaces you allow out-of-tree plugins. But that will be a different post. "Fatal: Gda: Namespace conflict for 'your_type_get_type'"
Then remove your “*_get_type()” method definition from your header file. Above have been the result to modernize GDA to recent practices and could be helpful for any one else. While I think maintainability could be improved, adding to history commits from contributions, apart from the ones coming from current Maintainer. Actually, there are some lot of commits not in history coming from authors outside current ones. 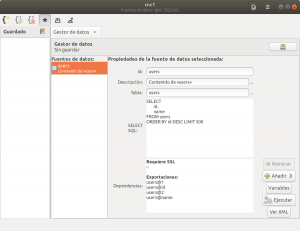 Hope with new GitLab GNOME’s instance, this will reflect the correct situation. Behind scenes, Vala has to improve its code base to adapt to new requirements like to develop a descent Vala Language Server and more IEDs supporting Vala. At least for me, even GEdit is productive enough to produce software in Vala, because the language itself; write a Class, an Interface and implement interfaces, is 10 times faster in Vala than in C.
Vala has received lot of improvements in last development cycles, like a new POSIX profile, ABI stability, C Warnings improvements and many other, to be reported in a different article. Look at Vala’s repository history, you will see more “feature” commits than “bindings” ones, contrary to the situation reported by Emmanuel, while should be a good idea to produce a graphic on this, but resent improvements could tell by them self the situation has been improved in recent release cycles. Lets look at repository’s chart. It reports 2000 commits in the last 3 months, 1.1 average per day, from 101 contributions as for October 19, 2018. Me at 10 commits from the last year, so I’m far to be a core contributor, but push ABI stability to be a reality. My main contributions are to communicate Vala advances and status. Vala has its roots as a GObject oriented language. Currently for C too, because it can produce C code without dependent on GLib/GObject. Could you find some improvements in C code generation? As you can see, Vala generates code to create your struct, access your fields while run costume code, to free your struct and initialize it. Your C users will have a clean and easy API to use, as you expect, your struct. If you use Vala to access your C struct, also written in Vala, it will create and free correctly automatically. GObject/GInterface are a powerfull tool, but is really hard to use in C if you have to write and implement a complex hierarchy of classes and interfaces. W3C DOM4, is a clear example of it; sure is possible implement in C, but is hundred times easy to implement and maintain in Vala. GXml and GSVG are an example on how complex a hierarchy can be, and how they have been implemented in a short time. GXml’s GomElement hierarchy just shows all interfaces it should implement to be DOM4’s Element. Have you tried to write lot of fragmented featured interfaces in C and implement all of them in a single GObject class? W3C SVG 1.1 specification have lot of interfaces to write and implement to have a fully compliant object’s class. Implement GSVG over Vala, makes SVG 1.1 possible in a short time; but don’t stop here, because maintain this complex hierarchy, like move an object from final to derivable one, or move methods from a final to parent class, including its interface implementation, is hundred times easy to do in Vala than in plain C/GObject. While GSVG implementation is not completed, Vala is the right tool to use on this kind of projects. Vala code produce Introspection Annotations as you write. Produce GIR XML file format is a matter to use --gir switch. Errors and warnings in Vala are focused to make your classes introspectable consistent; for example, you can’t return NULL in Non NULL declared methods. I’m working with a library called GNOME Vala Language Server (GVls), as a proof of concept for a server that will serve autocompletion, syntax highlighting and that kind of stuff, but found something interesting by accident. I’ve added an interface called Client, may is not it final name, but it allows to locale a symbol in a already parsed file, along with some goodness from other interfaces and implementations, I’ll talk about in another article. While trying to create a in-line parser to detect if the actual word is an object or any other kind of symbol to, in the near future, propose a list of properties and methods or a list of method’s parameters, by accident Client now can parse in-line Vala code, so you push text to this Client object and a Server (the object that parse and handle Symbol collection), parse it and just add new Symbols to its collection, without any effort or parse errors for incomplete code!!!! You can find in the Server a new symbol for Push.callme method. Just no error, even if the code is not completed yet. Well not for now. But with this work the doors are opening. This include Genie, because it has more script suitable syntax than Vala. Any way, leave to the time and some others’ help of course. Author despinosaPosted on October 19, 2018 6 Comments on Vala Scripting? GDA project has released 5.2.5 and tagged 5.2.6, with some improvements, but the real work is on master. Master is targeting 6.0, a new ABI/API release, providing better GObject Introspection support and code modernization. A new Meson build system is on the way to replace Autotools. Meson helped to implement, fix and test all changes in less time. Like on multi-threading, where is more easy to produce multiple parallel tests, helping to expose issues to fix. Master have big improvement on that matter. API is almost the same with minor changes, so port to new one should be easy. Major API breaks will happen on 7.0 development cycle. GDA have really old code, modernization of public API has been the priority; but, some parts are very sensitive to the change, so they may never will change or will wait to 7.0 cycle. 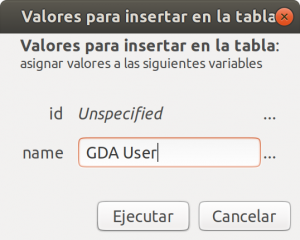 GDA’s GTK+ widgets, has been ported to avoid Deprecated API by recent 3.x releases. No heavy changes here, apart of the code modernization. GDA’s Control Center and Browser, has been fixed, so they are back from the dead. There are other, more modern applications out there like Sequeler, so in the short term may this tools old will be removed, unless there are interest by users. My experiment on mix Vala code with C source in GDA should wait, but I found it functional, just some improvements in Vala code generation adding C source documentation are required. Beyond 6.0, there are interest in improve implementation of new database Providers. At first, I’ve tried to make more deep changes in API to make room for a new providers platform, but the way current one and connection objects are tied each other makes that hard, so I decided to wait until 7.0 cycle starts. In parallel, I’m developing a new Vala library called libvda, to experiment with a new platform for providers. It is exposing a set of interfaces, making more easy to have new providers; load them thought libpeas is planned. Currently libvda has objects to connect to PostgreSQL and SQLite, using a common GDA provider object; add more existing GDA’s providers is a matter of a really few lines of code, thanks to Vala. Because GDA has a very slow mechanism to generate Meta information about data base’s objects, I plan to expose meta queries directly, so they can be used faster. libvda, expose interfaces to access meta information using a GObject API, but there is a new DDL module in GDA for meta information, but that is another history for a different article. Design and implement interfaces an objects in Vala is about 8 to 10 times faster, considering API changes in the development process. This is why I can expend time on libvda, to check out how could be on GDA and why I’m considering to mix Vala source code with C one. 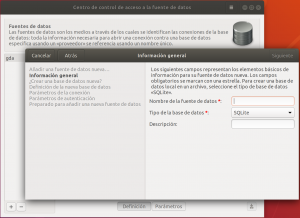 I’m working on GNOME Data Access, now on its GTK+ library, specially on its Browser, a GTK+ application more as a demo than a real database access tool. GDA’s Browser, spots notable features in GDA’s non-GUI library. For example, support to create a single connection binding for two or more connections to different databases and from different providers (SQLite, PostgreSQL, MySQL), so you can create a single query and get a table result combining data from different sources. More details in another post. Browser is getting back to life, but in the process I found crashes here and there. Fix them requires to walk around the code, found lots of opportunities to port it to new available technics to define GObject/GInterface API. Do that work may it’s too much work for a single man. So, What about to use Vala to produce C code faster in order to rewrite existing or new objects? This experiment, will be for 7.0 development cycle. For next 6.0 release, I would like to fix bugs as far as possible. This experiment may help to answer another question: Is possible to port Vala code to C in order to be accepted by upstream projects like GXml’s DOM4 API to GLib? At master there are a set of fixes for GDA Library and its GTK+ widgets, its Control Center for Data Sources Management and its powerful GDA Browser. Next major 6.0 release, is breaking API/ABI from older releases, in order to improve GObject Introspection bindings, including Vala ones. One step forward to use Meson build system, has been done too. Indeed, that work helps to speed up development. Please tryout GDA Graphical User Interfaces, that will expose more and issues, before a final release. Gda Browser running SQL queries, this include any other like select, create databases, create tables and views, insert data, and any other supported by the provider. All above screenshots, use a set of pre-defined GTK+ 3.0 widgets, so you can embed any of them in your own application, while GDA Browser, still powerful, is just for demonstration. Vala development has never been stopped. New features and better code generation is present in recent development version. This is like a “Beta” version, so go ahead and test with your new code. Checkout that now is possible to annotate an automatic property, with a [GtkChild] attribute, making possible to bind directly your XML builder defined widget to your class, so is easy to create powerful custom widgets. Also checkout Vala deprecations remove <= 0.22, so your Vala code could fail to compile. Just port to new API bindings. For SVG rendering, we have few options: librsvg, as the most popular one,,and Lasem, maybe others. Both take an SVG file, parse it and render it over specified Cairo.Context. GSVGtk is using librsvg by default, but have started to experiment with a new Rendered, written in Vala and using GSVG objects directly. Using GSVG objects directly, means you can create programmatically an SVG image, then pass it directly to GSVGtk’s Renderer to render it to screen, create an image or a PDF, without write down to an string and then parse back in the renderer. GSVGtk’s renderer, is not a fully compliant SVG 1.1 specification. It is enough for basic shapes and texts. Needs transformations at least for a more useful renderer for a canvas user like libgtkcanvas. GSVGtk’s new renderer is in render branch if you want to try it. For some reason libgrsvg creates an translucent area, while GSVGtk’s renderer is not, so in the video you can see how each shape is rendered clearly when it is drawn inside a Clutter.Actor, so now with this in shape, is possible to think to add some controls for shape editing in GSVGtk, now that invalidating each actor drawing area allows to render just the object it cares about, but without text intermediate format.